Footage captured by our very own Skyler and Neo Hazard. Can you really believe it’s been six whole years since I started this Fleetway thing back in part 1? How time flies when you’re having fun… or are too lazy to keep writing really long pieces without year-long gaps! Anyway… last time a lot of things happened. Amongst other things there was a new foe, a tragedy, a crisis of confidence, some time travel shenanigans, and on the tail end of that we’d just discovered a Drakon Prosecutor back in the distant past of the Floating Island. You can read all of that in part 9 though: let’s dive in and get back to where we were, shall we? 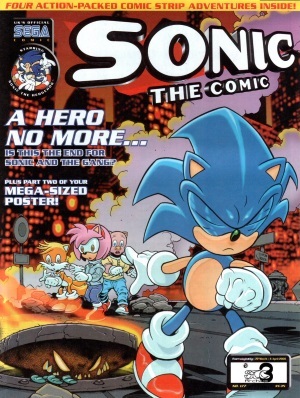 Hit the jump for the second half of StC’s adaptation of Sonic Adventure – and remember, LARGE spoilers for the end of Sonic the Comic lie beyond, as this part covers the very end of the comic’s run of original material. Once again it’s just over a year since last time in the series. 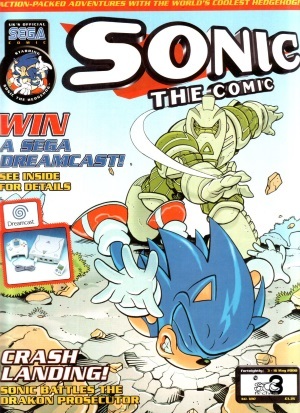 Having gone through a variety of one-offs and short-run stories, we rejoin Sonic the Comic at issue #175, for the final original story in the comic’s run – the 10-part adaptation of the Dreamcast launch title and fan-favourite that is Sonic Adventure. The world of Sonic Adventure being as different as it is to what had already been established through StC’s continuity, the writers decided to do their own unique take on the story. I’ll warn you at this point though – because this is the last story of StC, there’s some MAJOR spoilers ahead in tying up loose ends and just throwing a few curve balls at the reader. Consider yourselves warned, OK? Where else do you get spoiler warnings for material that’s nearly 2 decades old? Right. Let’s get this thing rolling! Hit the jump to continue. What happens when artists and animators band together to run a Sonic-themed charity event? You get Sonic & Chuckles, a 48 hour livestreaming event starting at 7PM PST today! 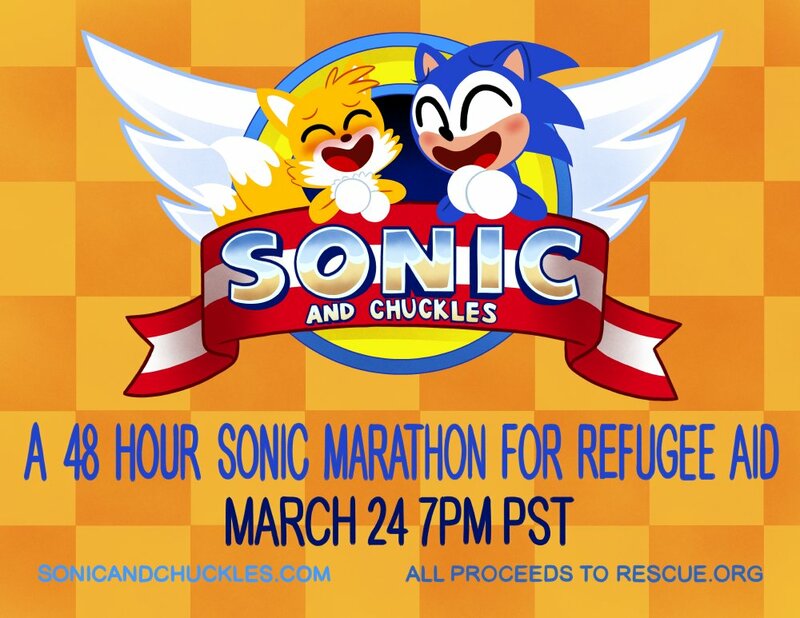 Sonic & Chuckles is benefiting the Refugee Aid run by both Geneva Hodgson (Storyboard artist and writer for OK KO, Teen Titans, co-creator of the new horror game Tattletail) and Frank Gibson. (The Amazing World of Gumball comic series, Capture Creatures comic series, writer for season 1 of Bee & Puppycat) They’re bringing together their love of Sonic to promote a good cause. You can check out more information on the event by hitting the jump or head straight to their website at www.sonicandchuckles.com and follow the event on Twitter.